Let’s return to the Getchell House (#2) that was pointed out during our turn-of-the-century walking tour of Second Street last month. It’s on the north side at Avenue C at 1122 Second Street. This handsome structure is the last one standing of a time when this street was a residential neighborhood with several family homes, large and larger. Joseph Getchell left his home in Maine as a young man, traveled through the Isthmus of Panama, up to San Francisco, then on to Snohomish, arriving in 1864. 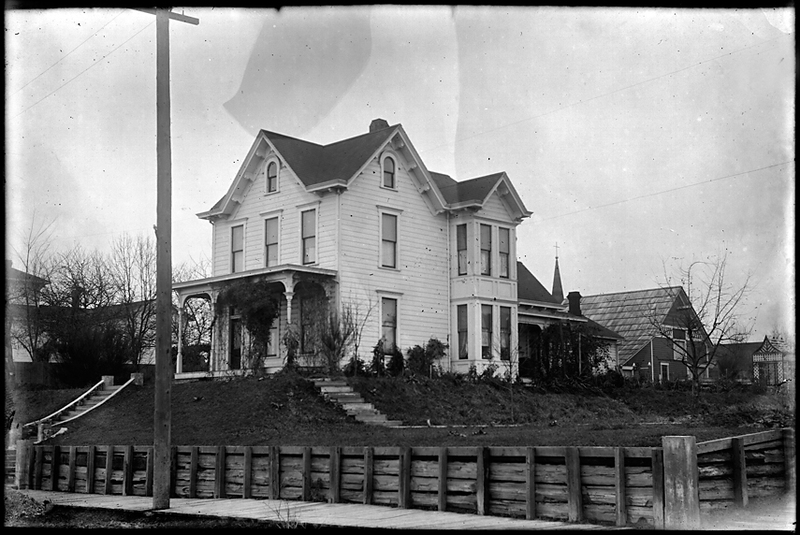 Evidently, he did well enough in the logging business to buy several lots around the intersection of Avenue C and Second Street soon after that location was named (and sold) by E. C. Ferguson in his 1871 plat of Snohomish City. Published in the Snohomish County Tribune, August 15, 2012. This entry was posted in Posts on August 14, 2012 by warner. Is this 1122 2nd st? You are absolutely right. My mistake since it faces Avenue C. Thanks!